Private Investigator Eddie Shoes is enjoying a rare period of calm. She’s less lonely now that Chava, her card-counting mom from Vegas, is sharing her home. She also has a new companion, Franklin, a giant dog of curious ancestry. Hoping for a lucrative new case, Eddie instead finds herself taking on a less promising client: her best friend from her childhood in Spokane. Dakota has turned up in Bellingham in jail, where she is being held on a weapons charge. Eddie reluctantly agrees not only to lend her friend money for bail but to also investigate who is stalking her. Soon after Dakota is freed, she disappears again, leaving Eddie to answer to the local cops, including her ex-boyfriend Chance Parker. Has Dakota been kidnapped? If not, why did she jump bail? What are Eddie’s business cards doing on the bodies of two murder victims? The key to these mysteries lies in Dakota and Eddie’s shared history, which ended when Eddie left home after high school. As a person of interest in both murder cases, Eddie is forced to go in search of the truth, digging into the past and facing her own demons. 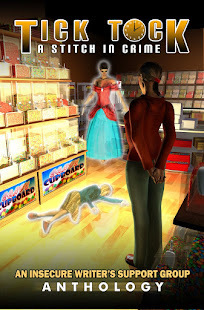 Book 2 in the Eddie Shoes Mystery series. 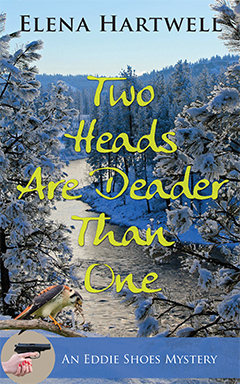 When I read and reviewed the first book in this series, One Dead, Two to Go, I resolved to read the rest of the series. Of course, it slipped my mind until the tour sign-ups for the 3rd book came around. So I went out and bought this one in order to keep reading them in sequence. I'm not entirely sure that matters (each book so far could stand on its own), but I do like to see the relationships develop, and that gets all messed up if you skip around. I have no regrets for the modest sum I spent buying the ebook! Ms Hartwell is living up to her promise, and so is Eddie Shoes. What's more, Eddie's mom seems to be growing up nicely, something that was a bit delayed in her case, and the interactions between Eddie and Chava are a delight, to say nothing of the furry giant, Franklin. I did have my moments of wondering if I was going to like this as well as the first book, mostly because it was clear that Eddie was being played, and I hate it when that happens (to me. And so by extension I squirm a bit when it happens to characters in a book). But of course Eddie's no dummy, and neither is Chava, so the story works out well, and takes us places I never expected. The mystery is just complex enough to keep you guessing, with the resolution both surprising and believable. There's a serious note about mental illness, as well, and it never hurts to get a little real insight in a pleasant read. 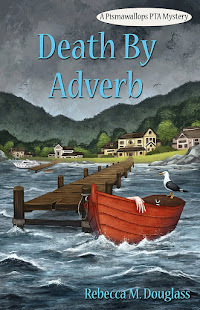 This is a series worth following, and has the added advantage of taking place in Bellingham, WA--not a place where I see many mysteries set, and just across the water from my own Pismawallops Island (yes, that gives me a sense of kinship with Eddie and with Ms Hartwell!). There is humor, excitement, and limited gore/violence. The cozy balance of puzzle, people, and death is excellent, with that little whiff of romance that adds color but doesn't overwhelm the mystery. FTC Disclosure: I purchased Two Heads are Deader Than One, and received nothing from the writer or publisher in exchange for my honest review. The opinions expressed are my own and those of no one else. I am disclosing this in accordance with the Federal Trade Commission's 16 CFR, Part 255: "Guides Concerning the Use of Endorsements and Testimonials in Advertising." Photo Friday! Hawaii... last time.